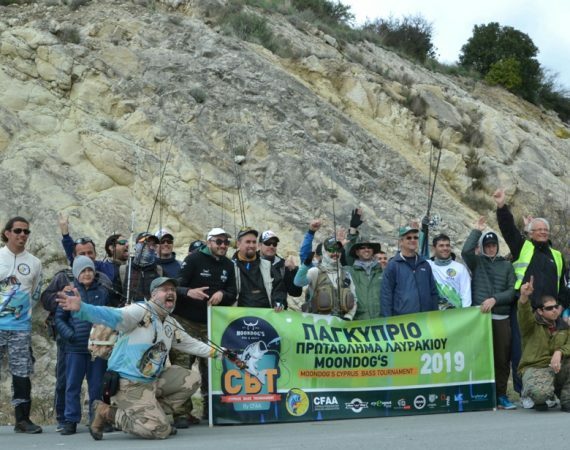 The first competition of the Moondog’s Cyprus Bass Tournament 2019 will be held on Evretou dam on the 2nd and 3rd of March. Starting time Day One: (Saturday 02/03) at 10:30 AM. Starting time Day Two: (Sunday 03/03) at 10:00 AM. Starting point for the both days the kiosk at the dam wall. If you want to participate at the first competition of the CYPRUS BASS TOURNAMENT 2019, please register by the 15th of February 2019 providing your ID number and your fishing license number. For your participation and more info please call at 93138686 or 99689402. For more information about the CYPRUS BASS TOURNAMENT 2019 please click HERE.